How much does a barber earn? Here at London School of Barbering, we quite often get asked, “What is the salary of a barber” or “How should I get paid as a barber”. In this post we provide some answers to your questions. 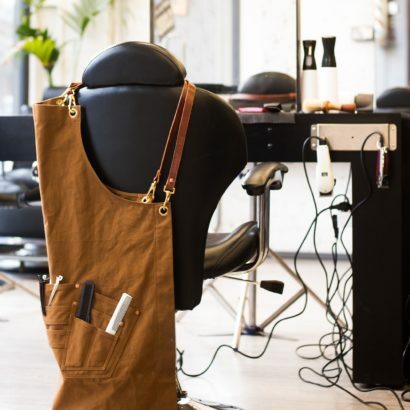 Another way to get an idea of the average barber salary is to check out our jobs page on our website, where there are a range of barber jobs advertised for all levels and pay outlined. What is the salary of a barber? 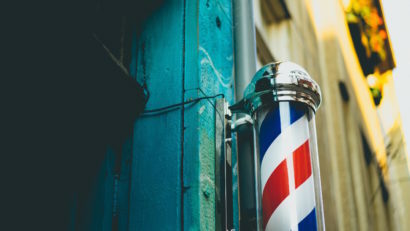 As a junior barber, after completing your training, you can expect to earn about £40-£60 per day in salary, and £20 in tips. If you work a 6-day week and 50 weeks per year, this equates to earnings of £18,000 to £24,000. With time and experience, a pro barber can earn as much as £1000 per week or £50k per year. Do I make money selling product? Yes, in fact it is quite important to earn some extra money by selling hair product. Some shops will pay a £2 in commission for each pomade or wax sold. By simply advising each of your clients on how to recreate their look at home with product, you can bank an extra £2000 to £3000 per year. (If each customer buys 4 products per year and you earn £2 commission on each, then you earn £8 per customer per year. This means you need to convince 250 clients per year to buy product when they have their haircut. Alternatively you could set a target to sell 5 products per day x £2 each x 300 workdays = £3000 commission). How can I expect to be paid? Hourly salary — A shop could pay an hourly salary, which at £10 per hour would be £80 for an 8-hour day. This means that you earn a set income regardless of how busy or slow the shop is. Split or Commission — A shop could share your revenues with you, at say 60/40. This means that for every £10 that you make, you keep £6 and the shop keeps £4. This structure is very good if you work in a busy shop. Say you did 20 haircuts at £15 each, then your sales would be £300, of which you would keep £180. Chair Rental — Here the barber pays the shop owner a set amount, say £150, to have a chair at the shop for 1-week’s time. The barber then keeps all of the sales. This structure is beneficial in a busy shop. Say you could do £200 in sales each day, then a 6-day week would earn you £1200 in sales, and £1050 in profits once you subtract your chair rental cost.